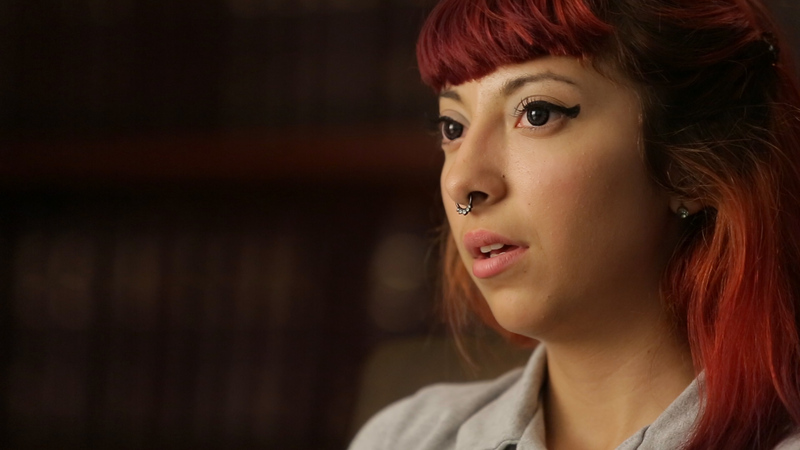 Kimberly Cervantes, student-plaintiff in law suit against Compton Unified School District in California. A landmark first step was taken today to insure that all public schools in the United States be legally required to address the unique learning needs of children affected by adverse childhood experiences. A class action suit on behalf of five students and three teachers in the Compton Unified School District in Compton, CA, was filed by Public Counsel, the nation’s largest pro bono law firm, and Irell & Manella LLP. The civic law suit demands that Comptom schools incorporate proven practices that address trauma, in the same way public schools have adapted and evolved in past decades to help students who experience physical or other barriers to learning. The plaintiffs’ legal team is relying on research demonstrating clearly that adverse childhood experiences (ACEs) are a barrier to academic success for millions of children (see Spokane, WA, students’ trauma prompts search for solutions), especially those in underserved communities, such as Compton, which has a poverty rate twice the California average and a murder rate five times the national average. more likely to have severe attendance issues. They also have reduced reading ability and lower grade point averages. “ACEs” comes from the CDC-Kaiser Adverse Childhood Experiences Study, a groundbreaking public health study that discovered that childhood trauma leads to the adult onset of chronic diseases, depression and other mental illness, violence and being a victim of violence. The 10 ACEs the researchers measured include physical, sexual and verbal abuse, physical and emotional neglect; a family member who is depressed or diagnosed with other mental illness, addicted to alcohol or another substance, in prison, witnessing a mother being abused, losing a parent to separation, divorce or other reason. The lawsuit seeks a remedy based on the adoption of proven models that other school districts have put into practice (see links below to schools that have integrated trauma-informed practices). These models include mental health and counseling services; trauma-informed training for educators and school staff; teaching children coping skills for anxiety and emotions; and implementing positive school discipline and restorative strategies to keep children in a school that is safe and welcoming. One student-plaintiff, a former foster youth with a history of being physically and sexually abused, became homeless this year. With nowhere else to turn, he slept on the roof of the high school he attended. At no time did school administrators provide any support or services. Instead, he was suspended. Although some personnel were aware of the student’s circumstances, the student’s attempts to return to school were denied, and he was threatened with law enforcement involvement if he persisted in attempting to return. Rosenbaum wants the suit to do help create schools that are safe for students. “Our suit seeks to bolster the remarkable resilience of these students,” he said. And remarkable it can be, if traumatized students don’t have to go to a school that further traumatizes them, and instead provides support. Four years after the principal, all teachers and staff at Lincoln High School in Walla Walla, WA, integrated a trauma-informed approach, student suspensions dropped 90% and expulsions were eliminated. The students’ test scores, grades and graduation rates increased, as did the number applying to two- and four-year colleges. The students, whose average adverse childhood experiences (ACE) score is 5.5, call the school their family, because, for most, it’s safer and a more loving place than their own family. Documentary filmmaker James Redford spent a year at Lincoln High School to follow four students as they interacted with the principal, teachers and staff. The resulting documentary, Paper Tigers, is premiering at the Seattle International Film Festival on May 28. Many other schools have integrated trauma-informed, resilience-building approaches with results similar to those at Lincoln High School. They include Cherokee Point Elementary in San Diego, six elementary schools in Spokane, WA, four elementary schools in San Francisco, a high school in Blaine, MN, and West Seattle Elementary in Seattle. The key in all of these schools is, instead of asking a kid “What’s wrong with you?”, teachers ask “What happened to you?” and provide support and guidance to the student and, if necessary and possible, the student’s family. Here’s a story about this on LATimes.com. And here’s another from KPCC in Los Angeles.